We get it. At TaxJar, we talk to online sellers every day who tell us all about their sales tax headaches. From figuring out which rate to charge which customer to dealing with complicated sales tax filing forms, it’s understandable that you want to shove sales tax to number 39 on your massive to-do list. As an online seller, you are required to collect sales tax in states where you have sales tax nexus. Nexus is just a fancy, legalese way of saying a significant connection to a state. Temporary sales at a tradeshow or craft fair — selling items in a state — even temporarily. You’ll always have sales tax nexus in your home state, but if you’re wondering if you have sales tax nexus in other states, check out our guide to what every state has to say about sales tax nexus. When you have nexus in a state, your first step before you even make a sale is to register for a sales tax permit. States consider it unlawful to collect sales tax without a permit, so don’t skip this step! Each state’s sales tax permit registration process is a little different, but you can see guides on how to register for a sales tax permit in every state here. Once you’ve secured your sales tax permit, your next step is to ensure you are collecting sales tax from all buyers in your nexus states. If you sell on multiple channels, you must ensure you are collecting sales tax from all buyers in all states on all channels, too. Ecwid offers easy and accurate automatic sales tax calculation for online sellers. If you sell on other channels, be sure to set up sales tax collection there, too! Here’s a list of guides on setting up sales tax collection on many popular online shopping carts and marketplaces. Up until this point, sales tax has been rather straightforward. It’s when you have a sales tax return due to the state that the real fun begins! A few states are simple. They have one statewide sales tax rate and that makes it fairly easy to report how much sales tax you’ve collected. But the vast majority of states have many sales tax rates. On top of that, they require online sellers to collect sales tax based at their buyer’s ship to address. This means, as an online seller, you may have collected sales tax in dozens or hundreds of different taxing jurisdictions. When you go to fill out your sales tax return, the state requires you to indicate how much sales tax you collected not just from buyers in the state, but from each county, city and other special taxing jurisdiction. Ouch! That’s where TaxJar Reports comes in. TaxJar Reports connects with Ecwid and the other channels you sell on and breaks down the sales tax you’ve collected from all of your buyers (across all of your channels) into the exact format the state wants to see. From there, it’s easy to fill in your sales tax forms! Once you’ve figured out how much sales tax you’ve collected in each state, city and special taxing district, it’s time to file your sales tax returns. Most states allow you to file online (some even require it), and pay either by check or online with an ACH transfer from your bank account. All states have penalties for paying late, so be sure to pay on or before the deadline! Over half the states realize that collecting and filing sales tax places a burden on online sellers and they offer a small sales tax discount to sellers. This means you get to keep 1-2% of the sales tax you collected from customers. Check out this list of states that offer a sales tax discount and don’t leave money on the table! Also, always file a sales tax return even if you didn’t collect any sales tax over the taxable period. States want every registered online seller to file a sales tax return every due date. Failing to do so can result in anything from a $50 fine to the revocation of your sales tax permit. Ouch. If you want to take sales tax entirely off your plate, TaxJar AutoFile will file your sales tax returns for you. We even take your sales tax discounts into account for you, so you save every cent you possibly can. And with that, your sales tax returns are filed! Now it’s time to get back to doing more profitable things until your next sales tax filing due date rolls around. Do you have questions or comments about sales tax? 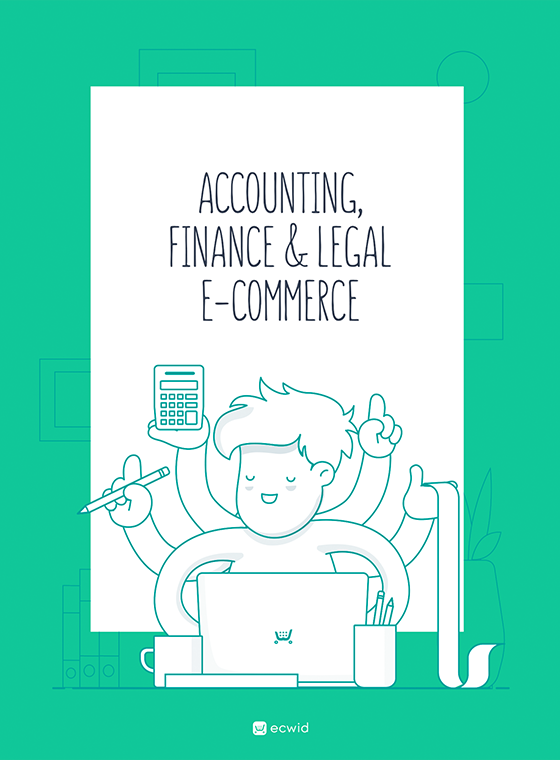 You can read a whole lot more in our Sales Tax 101 Guide for Online Sellers. Or start the conversation in the Sales Tax for eCommerce Sellers Facebook Group. TaxJar is a service that makes sales tax reporting and filing simple for over 5,000 online sellers. Try a 30-day-free trial of TaxJar today and eliminate sales tax compliance headaches from your life!